… is not necessarily gold. While love is a many splendoured thing, we’re learning that romantics’ padlocks are not good for bridges. 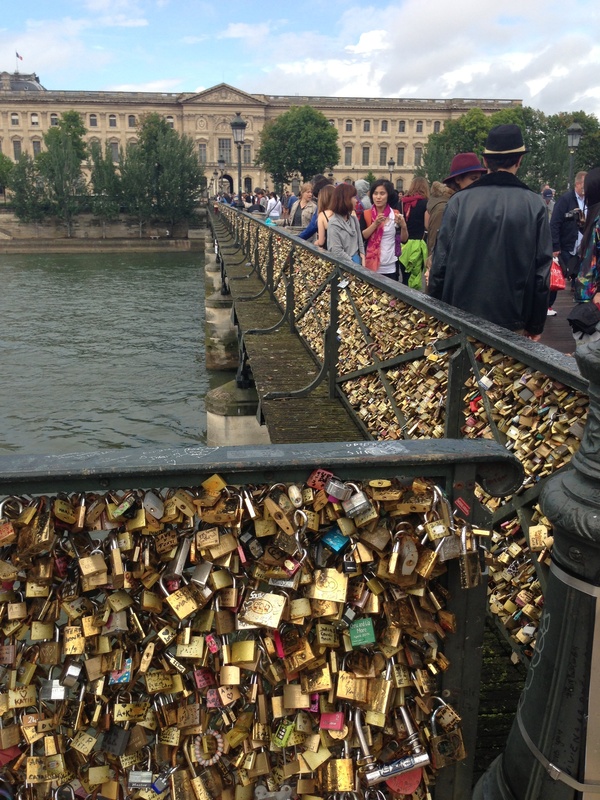 In June of this year, word came from the mayor of Paris’ sixth arrondissement that the thousands of padlocks meant to signify couples’ love are creating structural problems for the 155-meter foot bridge between Saint-Germain and the Louvre. The weight of the padlocks is estimated at 10 tonnes and, in early June, a 2.4 meter section of a parapet collapsed inward under the weight. The padlocks are openly sold on the bridge, and the city’s Culture Secretary has been charged with finding an appropriate alternative for those wishing to declare their romances. Even as Parisians are dealing with their locks, romantics in other locations have begun adding padlocks to other locales. 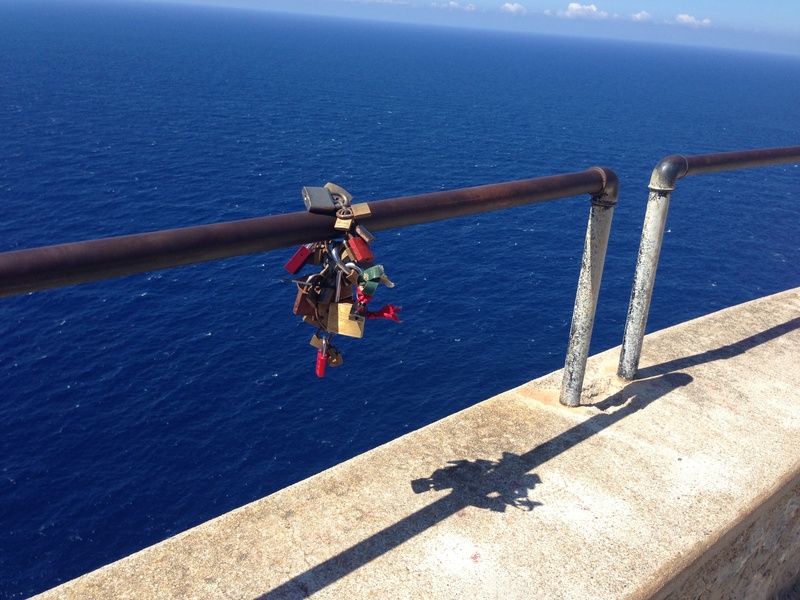 At Cap de Formentor, in northern Mallorca, a couple of padlock “chains” are on full display on the cliffs over the striking Mediterranean waters, below.